This plugin has a proven track record. 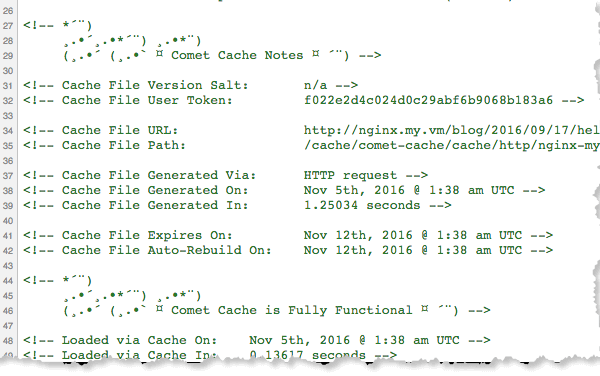 Comet Cache has been around for 5+ years. 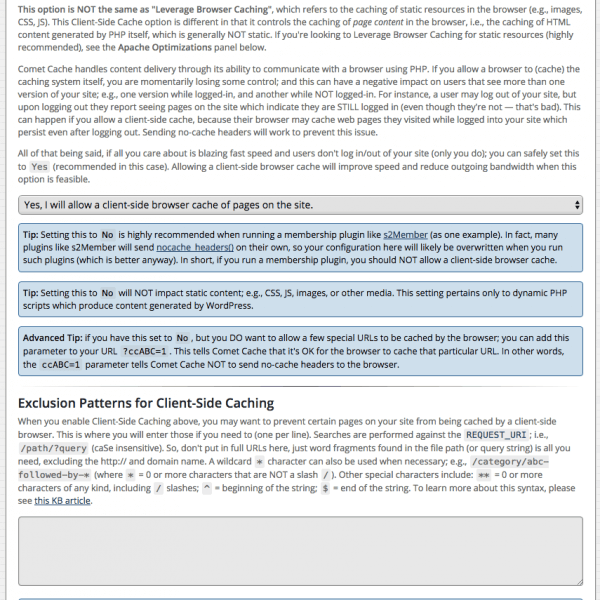 It is, without a doubt, the best caching plugin for WordPress. Why? Because in two clicks you're Speedy Gonzales. No rocket science here. Just install and activate — that's it! Bug Fix: Fixed a bug that, in some scenarios, resulted in “PHP Fatal error: Undefined class constant ‘CACHE_PATH_NO_PATH_INDEX’”. This also affected the Cache Statistics feature (Comet Cache Pro), resulting in a blank panel when hovering over the Cache Stats button in the menu bar. See Issue #752. 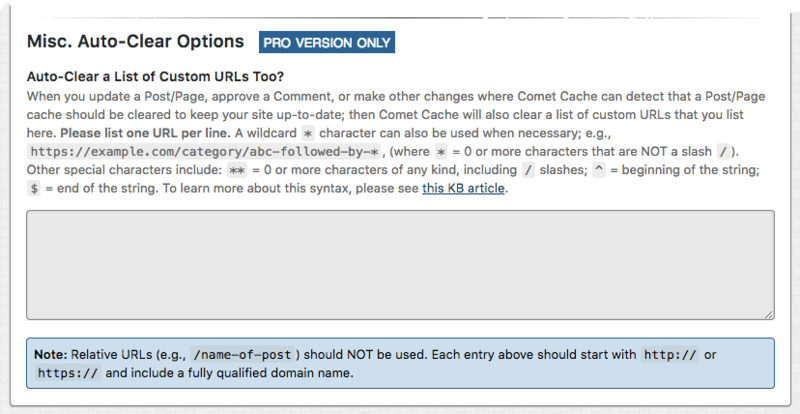 Enhancement (Pro): It’s now possible to disable the WordPress Admin Toolbar when Logged-In User Caching is enabled with a new option in Comet Cache → Plugin Options → Logged-In Users → Disable the Admin Toolbar for Logged-In Users & Comment Authors? Props @renzms and @KTS915. See Issue #690. Enhancement: The the option to automatically clear the cache for Custom Term Archive Views (see Comet Cache → Plugin Options → Automatic Cache Clearing → Auto-Clear “Custom Term Archives” Too?) is now enabled by default. This feature was previously disabled by default, which lead to confusion about why those cache files were not being cleared automatically when a Custom Post Type with a Custom Term Archive View was being used. Props @renzms. See Issue #693. Bug Fix: Fixed a “PHP Fatal error: Undefined class constant ‘CACHE_PATH_NO_SCHEME’” introduced by the previous release (v160416). This issue only affected sites where Feed Caching was enabled (Comet Cache → Plugin Options → RSS, RDF, and Atom Feeds). Props to MassimoD and @emanwebdev for reporting. See Issue #739. Enhancement (Pro): The Pro Plugin Updater page now includes a “Save All Changes” button at the bottom, allowing you to save changes to the updater configuration without actually running the plugin updater. Props @bridgeport @NoahjChampion @1wdtv. See Issue #681. Bug Fix: Fixed an issue where some browsers would report “Failed to parse SourceMap” errors in their console when browsing the Comet Cache Options page. This was related to sourceMappingURL comments in the minified JS/CSS files that were intended for development purposes. Props to @1wdtv for reporting. See #732. Bug Fix (Pro): Fixed a bug with the Pro Plugin Updater that resulted in “Unknown error. 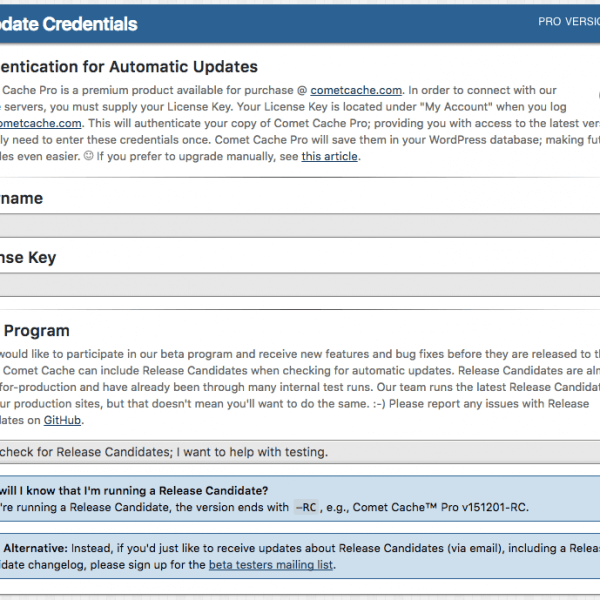 Please wait 15 minutes and try again.” when attempting to update Comet Cache Pro. The issue affected sites on servers running an old version of cURL (< v7.36) and/or an old version of OpenSSL, which made them unable to connect to the Comet Cache Pro update server. The Pro Plugin Updater now attempts to connect to a secondary update server that is more compatible with older versions of cURL and OpenSSL. See Issue #678. Compatibility: WP-CLI. 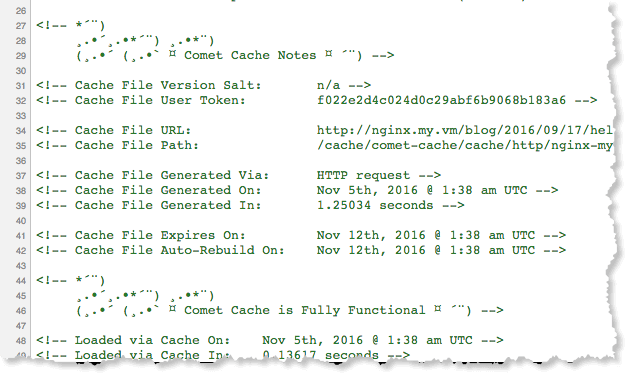 When installing Comet Cache via WP-CLI, Comet Cache is now automatically enabled. There’s no need to manually enable Comet Cache from within the plugin options after installing. Props @jaswsinc. See Issue #464. Enhancement (Pro): A new HTML Compression option allows you to define whether or not HTML Compression should be enabled for Logged-In users (when Logged-In User caching is enabled). See Comet Cache → Plugin Options → HTML Compression → Enable HTML Compression for Logged-In Users?. Props @renzms. See Issue #650. 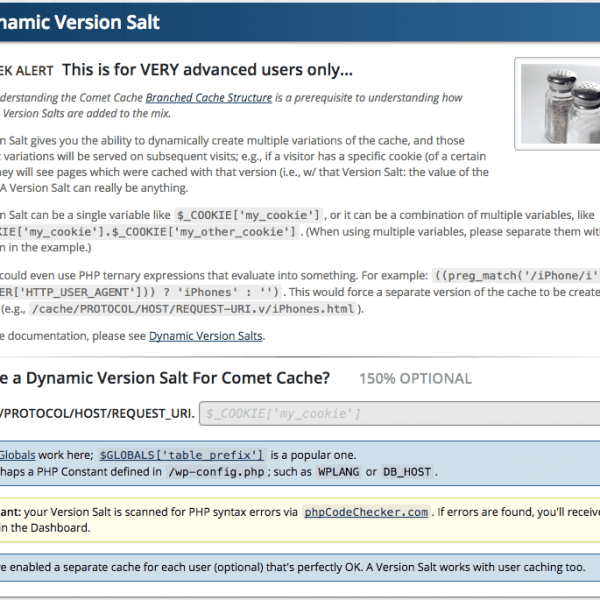 Bug Fix: Fixes PHP Fatal Error when upgrading from Comet Cache v160211. Announcement: After March 1st, 2016 Comet Cache will require PHP Multibyte String support. The mbstring extension provides Multibyte String support to PHP and is required to properly handle UTF-8 characters, which many sites now use. Without Multibyte String support, caching will be unstable. For that reason we are requiring the mbstring extension to improve reliability when caching and to prevent your site from experiencing unforeseen issues in the future..
Bug Fix (Multisite): Fixed a bug where when Comet Cache was Network Activated the plugin settings link would show up in the plugins list for the Main Site and would lead to a 404 error. The settings link is now only shown when viewing the plugins list from the Network Admin. Props @jaswsinc. See Issue #675. Enhancement: Added support-related links to the plugin options page. Props @renzms. See Issue #612. Announcement: ZenCache is changing its name to Comet Cache! Learn more about this upcoming change here. Announcement: After March 1st, 2016 ZenCache / Comet Cache will require PHP Multibyte String support. The mbstring extension provides Multibyte String support to PHP and is required to properly handle UTF-8 characters, which many sites now use. Without Multibyte String support, caching will be unstable. For that reason we are requiring the mbstring extension to improve reliability when caching and to prevent your site from experiencing unforeseen issues in the future. Announcement: Restructured Codebase. The entire ZenCache Lite codebase has been restructured to improve performance, enhance flexibility, and make it easier to build in new features! This release of ZenCache Lite has been built from the ZenCache Pro codebase, which is more polished and up-to-date. This release includes many changes and improvements that were released as part of ZenCache Pro releases over the past 6 months and are now being included in the Lite version. See the full changelog below for a complete list of changes. Bug Fix: Fixed an issue where a PHP Notice was generated when an inactive WordPress component was being upgraded. This issue did not have any adverse affect on the site, but this fix resolves the issue so that the notice won’t appear in PHP logs. See Issue #589. Multisite Bug Fix: Fixed a bug where when ZenCache was Network Activated the plugin settings link would show up in the plugins list for the Main Site and would lead to a 404 error. The settings link is now only shown when viewing the plugins list from the Network Admin. Props @jaswsinc. See Issue #675. Enhancement: It’s now possible to override the ZenCache Nonce exclusion globally (dangerous) or only for Logged-In Users (safer). Please see this article for full details. Issue #637. Akismet Compatibility: ZenCache now automatically disables the Akismet Comment Nonce using the akismet_comment_nonce filter, which improves compatibility between Akismet and the page caching functionality provided by ZenCache. This ensures that pages do not contain time-sensitive nonce values that should not be cached. If you’d like to revert this behavior, please see this article. Props @kristineds and @jaswsinc. See Issue #601. New Pro Features: This release updates the Pro Preview to include several new Pro features that have been added over the past 6 months, including the ability to clear the PHP OPCache whenever manually clearing the cache (ZenCache Options → Manual Cache Clearing → Clear the PHP OPCache Too? ), clear the CDN Cache whenever manually clearing the cache (ZenCache Options → Manual Cache Clearing → CDN Cache Clear the CDN Cache Too? ), disable cache expiration if the server load average is high (ZenCache Options → Cache Expiration Time → Disable Cache Expiration If Server Load Average is High), the ability to specify which WordPress Roles/Capabilities are allowed to clear the cache from the WordPress Admin bar (ZenCache Options → Manual Cache Clearing → Also allow others to clear the cache from their Admin Bar? ), a completely new Cache Statistics feature that allows you to monitor the health and status of your cache (ZenCache → Stats / Charts), the ability to specify a list of Custom URLs whose cache files should be cleared whenever ZenCache detects that a Post/Page cache should be cleared (ZenCache Options → Automatic Cache Clearing → Misc. Auto-Clear Options → Auto-Clear a List of Custom URLs Too? ), a new menu of Clear Cache options in the Admin Bar that allows you to clear the cache for just the Home Page, the Current URL, a Specific URL, PHP’s OPCache, or the CDN Cache (ZenCache Options → Plugin Options → Manual Cache Clearing), the ability to customize the Cache Cleanup Schedule and set your own schedule (ZenCache Options → Manual Cache Clearing → Cache Cleanup Schedule), the ability to configure the Pro Plugin Updater to check for Beta versions, an option to clear Expired WordPress Transients, and URI Exclusion Patterns for Client-Side Caching. Announcing Comet Cache, formerly ZenCache! We are very excited to announce the release of Comet Cache, an advanced WordPress caching plugin inspired by simplicity. Comet Cache is the successor to ZenCache (and Quick Cache before that), a very popular WordPress caching plugin that has been downloaded over 1 million times and has won acclaim for its speed, simplicity, and ease of configuration. Read the full announcement here. Bug Fix: Fixed an issue that was unexpectedly producing “Failed to update your /.htaccess file” error messages. The .htaccess routines are now more intelligent and take into consideration which plugin options are enabled and which options require updating the .htaccess file. This also improves performance by avoiding unnecessary read/writes to the .htaccess file. Props @patdumond. See Issue #641. Bug Fix: When allow_url_fopen is disabled via the PHP configuration, the Auto-Cache Engine is unable to read the XML Sitemap and was silently failing with only PHP Warning in the PHP error log. The Auto-Cache Engine currently requires PHP URL-aware fopen wrappers. A new Dashboard notice displays an error message when allow_url_fopen is disabled and prevents the Auto-Cache Engine from attempting to run. See Issue #644. Bug Fix: Fixed an Auto-Cache Engine bug that was producing false-positive Dashboard errors related to timeouts: “Problematic XML Sitemap URL - WP_Http says: Operation timed out after 5001 milliseconds with 0 bytes received.” Due to the way ZenCache was checking the XML Sitemap URL more than necessary, timeouts were more likely to occur. We now only check the URL repeatedly when a failure has been encountered. If the URL is confirmed as working, we don’t check the URL again until the Auto-Cache Engine runs (every 15 minutes by default) or until the Plugin Options are saved. If you are still seeing timeout errors after this update, please see this article. See Issue #643. Bug Fix: Fixed an Auto-Cache Engine bug where ZenCache would would check both the non-SSL (http://) and the SSL (https://) version of the XML Sitemap URL when the Site Address was configured to use SSL. See Issue #643. New Feature! : It’s now possible to customize the Cache Cleanup Schedule and set your own schedule in ZenCache → Plugin Options → Manual Cache Clearing → Cache Cleanup Schedule. ZenCache uses wp_get_schedules() when generating the list of available schedules, which makes it possible to create your own custom cron schedule using a plugin like WP Crontrol and use that to define a custom Cache Cleanup Schedule. Props @kristineds. See Issue #472. New Feature! It’s now possible to configure the Pro Plugin Updater to check for Beta versions (Release Candidates) of the plugin. See ZenCache → Plugin Updater → Beta Testers. We publish Release Candidates a week or so before official releases to allow for additional testing and early preview of upcoming features and bug fixes. If you’re not already on our Beta Testers mailing list, you can signup here. Props @kristineds. See Issue #352. New Feature! It’s now possible to clear Expired WordPress Transients from the Clear Cache Option Menu in the WordPress Admin Bar. The WordPress Transients API has no functionality to automatically clean up expired transients; doing so is left for plugin authors and we’ve found that very few plugins that use the Transient API actually clean up expired transients properly, which can lead to your database being full of expired transient data that is no longer used. Props @kristineds. See Issue #459. Bug Fix: Fixed a bug that was generating a “Failed to update your /.htaccess file” error message. The routines that update your .htaccess file were failing if your .htaccess file already contained the word “ZenCache” (case-insensitive). See Issue #617 and Issue #620. Bug Fix: Fixed a bug where ZenCache could inadvertently corrupt the .htaccess file if it contained invalid UTF-8 characters. This has been fixed by first checking the .htaccess file for invalid UTF-8 characters via wp_check_invalid_utf8(). See Issue #633. Enhancement: The Static CDN Filters now attempt to obey the ZENCACHE_ALLOWED and DONOTCACHEPAGE constants so that Static CDN Filters are not applied when caching is disabled. However, due to the way Static CDN Filters are implemented this is not always reliable. If you need to programmatically disable Static CDN Filters, see this article. See Issue #628. Enhancement: The new default value for “Clear the PHP OPcache Too?” when clearing the cache manually is now disabled. Instead of having this option enabled by default, we automatically invalidate only the advanced-cache.php file in PHP’s opcode cache whenever you update your configuration options, which allows ZenCache to function as expected. That was the most important reason for needing to clear the opcode cache in previous versions. Props @jaswsinc. Also props to @MarioKnight and @CotswoldPhoto for helping us narrow this down. See Issue #624. Enhancement: Improved .htaccess utilities so that an exclusive lock is acquired when reading+writing to the file. This helps avoid inadvertently corrupting the .htaccess file in scenarios where another process might be reading/writing to it at the same time. See Issue #633. New Feature! The Clear Cache button in the Admin Bar now includes a sub-menu with several new options for clearing the cache from anywhere on your site. You can clear the cache for just the Home Page, the Current URL, a Specific URL, PHP’s OPCache (if active), or the CDN Cache (when Static CDN Filters are configured). This menu comes in two flavors and can be customized (or disabled entirely) inside ZenCache → Plugin Options → Manual Cache Clearing. Props @jaswsinc. See Issue #596. New Feature! 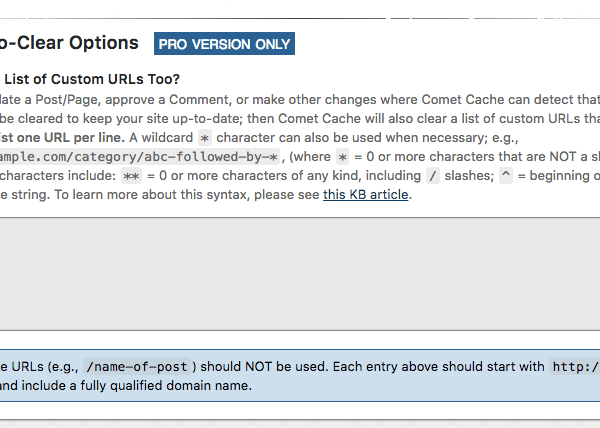 It’s now possible to specify a list of Custom URLs whose cache files should be cleared whenever you update a Post/Page, approve a Comment, or make other changes where ZenCache detects that a Post/Page cache should be cleared to keep your site up-to-date. See ZenCache → Plugin Options → Automatic Cache Clearing → Misc. Auto-Clear Options → Auto-Clear a List of Custom URLs Too? Props @kristineds. See Issue #111. Bug Fix: Fixed a bug with Static CDN Filters and Cross-Origin Resource Sharing (CORS) that was generating a “Cross-Origin Request Blocked” error. ZenCache will now update the root .htaccess file to include a Header set Access-Control-Allow-Origin "*" rule for ttf, ttc, otf, eot, woff, woff2, font.css, css, and js files whenever the Static CDN Filters are enabled. This is necessary to avoid “Cross-Origin Request Blocked” errors. Note that if you are already experiencing this error, you should create and configure a new CDN hostname to resolve the issue. In our tests it appears that some CDNs are caching the initial header response received by the server, which means it’s necessary to send the Access-Control-Allow-Origin header before configuring the Static CDN Filters with a CDN hostname. See Issue #427. Bug Fix: Removed eot,ttf,otf,woff font extensions from the Static CDN Filter Blacklisted Extensions. These were added in a previous release in an attempt to resolve an issue with Cross-Origin Resource Sharing (CORS), however now that the HTML Compressor has been updated to work with Static CDN Filters, the CSS compressed by the HTML Compressor is now served from the CDN. Fonts are most likely to be referenced by CSS, which is static. So when Static CDN Filters are applied, the CSS is getting moved to the CDN and the fonts are then expected to live on the CDN too. By excluding them from the Static CDN Filter, we were creating a problem instead of solving one. This release removes the font extensions from the default Blacklisted Extensions so that fonts can be hosted on the CDN alongside the CSS that references them. See Issue #427. Bug Fix: Fixed a bug related to updating plugins with WP-CLI on a site that was running ZenCache Pro. While ZenCache Pro updates must still be done through the ZenCache Pro Updater inside the Dashboard, updating other plugins via WP-CLI was generating a harmless ZenCache exception: “Invalid argument; host token empty!”. With this fix, ZenCache will properly detect when WP-CLI is running to avoid these errors. Props @MarioKnight @renzms. See Issue #563. Bug Fix: Fixed a bug where post previews were being cached when Logged-In User Caching and GET Request caching were both enabled (both are disabled by default). This release now detects previews in this scenario and excludes those requests from being cached. Props @clavaque @kristineds. See Issue #583. Enhancement: Excluded several unnecessary files from the plugin zip file that were being used during the build process but were not necessary to run the plugin. Props @bridgeport. See Issue #579. 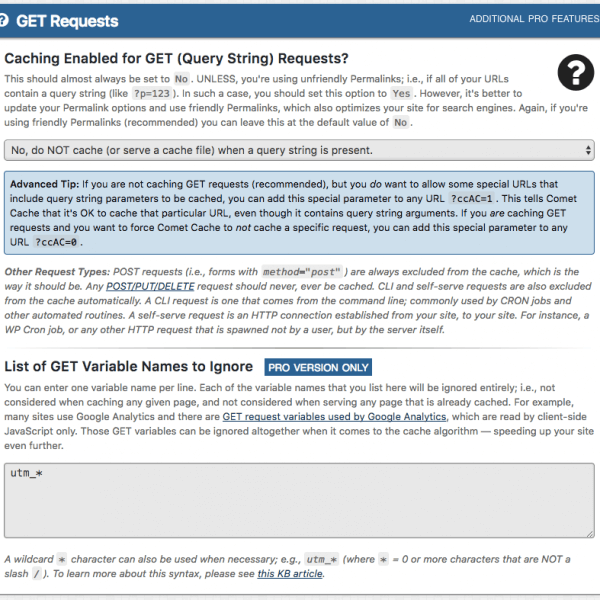 Enhancement: In Logged-In User Caching, the “Yes, but DON’T maintain a separate cache for each user” option has been hidden because this particular option has the potential to create a security issue if not configured properly. If you were already using this option, it will not be hidden and it will continue to work. Otherwise, if you require this particular option you can now enable it using a filter (see this comment). Props @renzms @jaswsinc. See Issue #497. Enhancement: The Auto-Cache Engine now detects when the configured XML Sitemap is not valid or is unreachable and displays an appropriate notice. Props @kristineds and @jaswsinc. See Issue #555. Bug Fix: Fixed a bug introduced in the previous release that was resulting in a “Fatal error: Using $this when not in object context” for sites running PHP 5.3. (PHP 5.4+ sites were unaffected.) Props @jaswsinc. See Issue #581. New Feature! 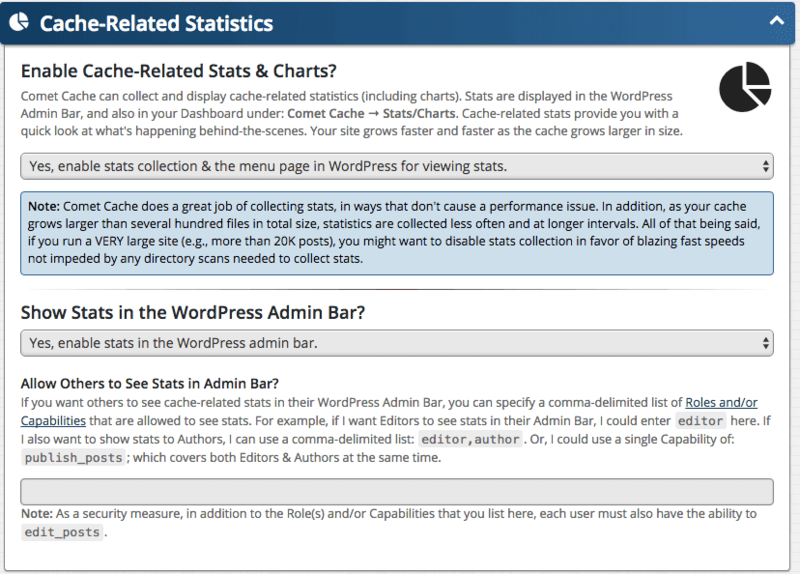 Cache Statistics is a completely new ZenCache Pro feature that will help site owners better understand their WordPress site cache. An easy-to-access Cache Stats menu button in the Admin Bar is accompanied by a whole new page that shows Current Cache Totals (including total number of cache files and total size of cache on the disk), Current Disk Health (including total disk capacity and total available), Current System Health (including memory usage and load average), and two beautiful Polar Area pie charts that show you both current and historical data on Cache File Counts and Cache File Sizes with a 30-Day High, Current Total, Page Cache total, and HTML Compressor total for each chart. Props to @jaswsinc. See Issue #83. New Feature! It’s now possible to specify which WordPress Roles/Capabilities are allowed to clear the cache from the WordPress Admin bar. A new option inside Dashboard → ZenCache → Plugin Options → Manual Cache Clearing allows specifying a comma-delimited list of Roles and/or Capabilities under, “Also allow others to clear the cache from their Admin Bar?”. If a user has an allowed Role/Capability, they will see the “Clear Cache” button in their Admin Bar. This feature is also compatible with WordPress Multisite Networks, allowing a Network Administrator to define which Child Site roles should allow a Child Site user to see the “Clear Cache” button for their Child Site. Props @danielmt2k @jaswsinc. See Issue #68. New Feature! It’s now possible to “Disable Cache Expiration If Server Load Average is High” (see Dashboard → ZenCache → Plugin Options → Cache Expiration Time). 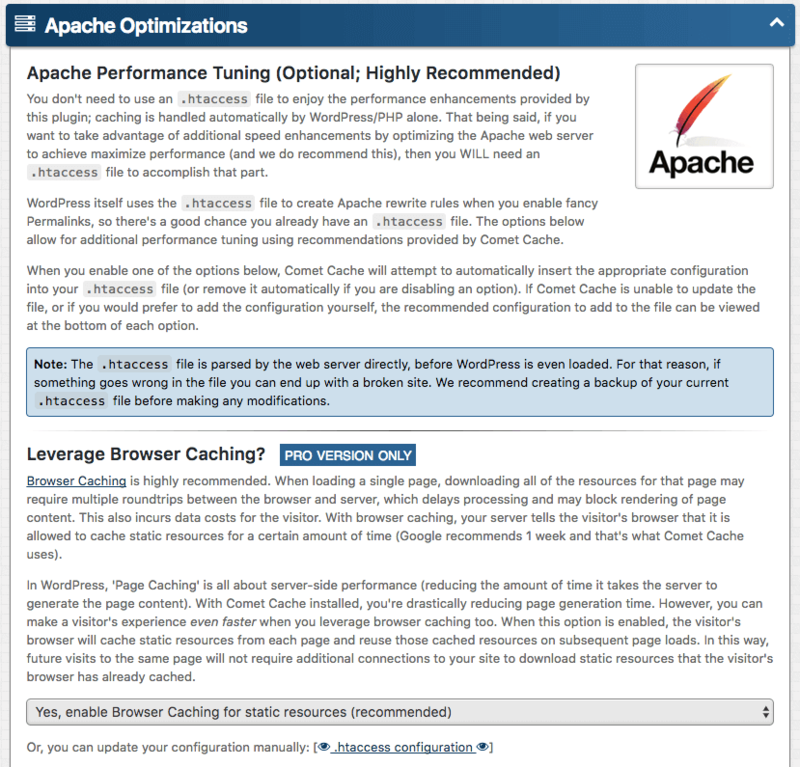 This allows you to provide a specific load average that should cause ZenCache to disable cache expiration and help reduce stress on the server; i.e., to avoid generating a new version of the cache while the server is very busy. Props @jaswsinc. See Issue #347. New Feature! It’s now possible to manually clear the CDN Cache when Static CDN Filters are enabled. 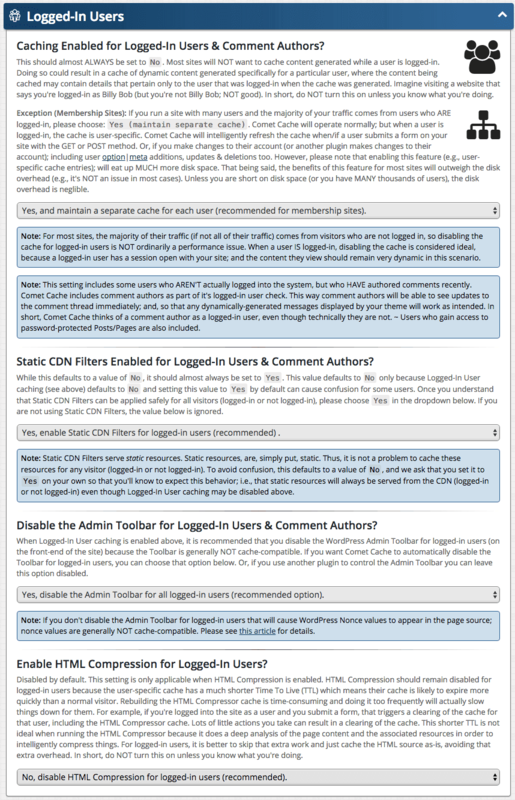 Inside the Static CDN Filters options panel there’s a new “Clear CDN Cache” button and there’s also a new option (“Clear the CDN Cache Too?”) inside Dashboard → ZenCache → Plugin Options → Manual Cache Clearing that allows you to specify whether or not you’d like the CDN Cache to be cleared whenever the “Clear Cache” button is clicked (either from the Admin Bar or from inside the Plugin Options). Props @kristineds @jaswsinc. See Issue #488. New Feature! When your server has the PHP OPCache Extension installed, ZenCache can now be configured to also clear the PHP opcode cache whenever you clear the cache manually using the ZenCache “Clear Cache” button. 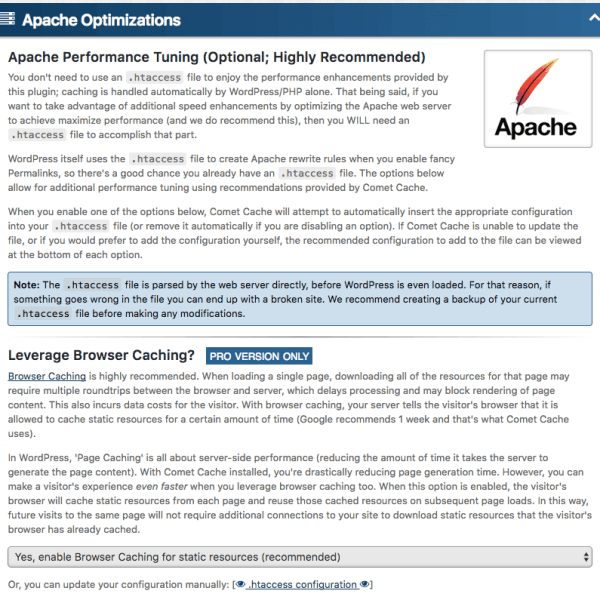 See ZenCache Options → Manual Cache Clearing → Clear the PHP OPCache Too? (note that this option only appears if you have the OPCache Extension installed). Props @jaswsinc. See Issue #489. Bug Fix: Fixed an HTML Compressor bug related to CSS pseudo-classes where spaces between the class name and pseudo-class name were being removed when CSS was minified. Props @patdumond @jaswsinc. See Issue #544. Bug Fix: Fixed an HTML Compressor bug related to <noscript> tags. The HTML Compressor now makes no adjustments to anything inside <noscript> tags, and the same has always been true for IE conditional comments as well. Props @rtrevellyan @jaswsinc. See Issue #65. Bug Fix: Fixed a bug with the Static CDN Filters that affected sites using a permalink structure that ended with .htm or .html. Generally, files that end in .htm or .html are considered static files, hence the reason ZenCache was rewriting URLs with those extensions to point at the configured CDN. However, if a site uses .htm or .html in their permalink structure, all links to Posts/Pages within the site will appear to be static files when they are in fact dynamic and therefore should not be rewritten. ZenCache now checks the permalink structure and excludes .htm and .html from the allowed extensions when the permalink structure is using one of these. Props @jaswsinc. See Issue #495. Bug Fix: Fixed an SSL issue with the HTML Compressor that was causing problems in some hosting environments where the hosting server was incorrectly setting $_SERVER['REQUEST_SCHEME'] to http even when the WordPress Site URL and Home URL were set to use https://. As a result of this improper server configuration, the combined CSS/JS files generated by the HTML Compressor were being served over HTTP even when a site was configured to use HTTPS. This release applies a workaround for this improper server configuration that no longer looks at $_SERVER['REQUEST_SCHEME']. See Issue #413 and Issue #73. Multisite Bug Fix: Fixed a bug in the Auto-Cache Engine that was resulting in duplicate Cron Jobs being created for each Child Site. The Auto-Cache Engine now only runs from the Main Site in a network, as it should. When the Auto-Cache Engine runs on the Main Site, it will also run for each of the Child Blogs (see this article for more information). Props @jaswsinc. See Issue #543. 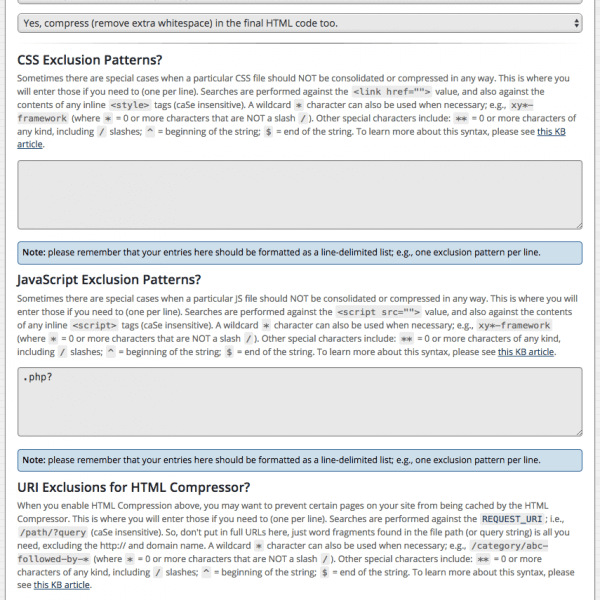 Enhancement: Improved HTML Compressor HTTP connection handling, timeouts, protocol, BOM markers, exceptions, Referer: and User-Agent: headers. Props @LittleBastard77 @jaswsinc. See Issue #391 and Issue #69. 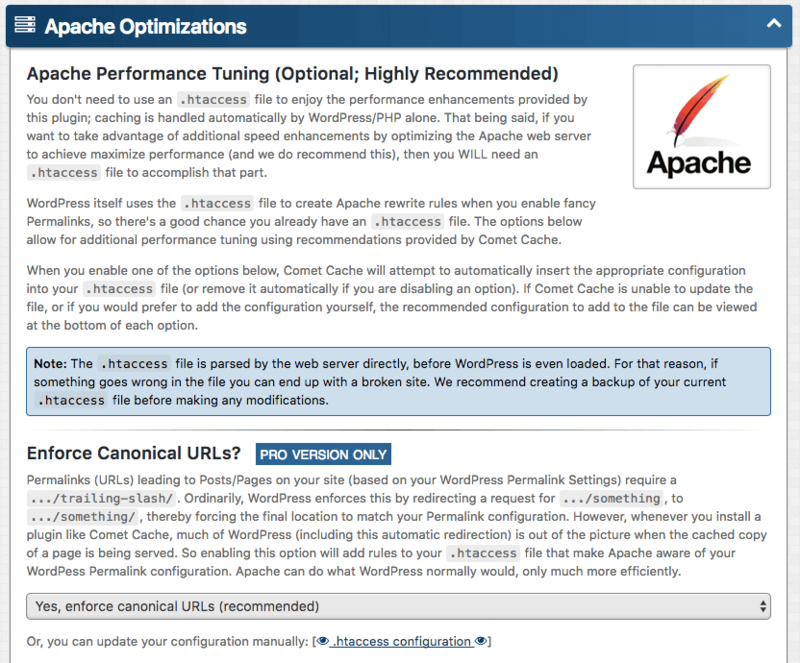 Enhancement: The installed plugin version is now shown at the top of the ZenCache Options Page. When a newer version of the plugin is available, an “update available” link appears. Props @renzms. See Issue #502. Multisite Domain Mapping Compatibility: ZenCache Pro is now fully compatible with the WordPress MU Domain Mapping plugin, including Multisite Networks using domain mapping on top-level domains, sub-domains, and sub-directories. Multiple variations of each site spread across an unlimited number of domain mappings and/or the original blog domain/path is also supported. All other features of ZenCache Pro, including the Auto-Cache Engine, Static CDN Filters, and HTML Compression are also now compatible with domain mapping. Props @jaswsinc. See Issue #339. Bug Fix: The HTML Compressor now strips UTF-8 Byte Order Markers (BOMs) from CSS files generated by preprocessors such as Sass. Files consolidated by the HTML Compressor include an @charset rule already, making a BOM unnecessary. In fact, if BOMs are not stripped, some browsers will choke on portions of a consolidated CSS file, because a BOM could potentially appear in the middle of the file; i.e., at the wrong place. Symptoms included mysterious missing styles in portions of the site, fonts not loading at all times, or font-based icons (e.g., FontAwesome) to render mystery glyphs instead of the icons. Props @jaswsinc. See Issue #52. Bug Fix: Improved HTML Compressor strict data type comparison when analyzing $_SERVER environment variables to detect an https:// connection URL. We now detect (integer)443 and (string)443. In addition, we can now pick up $_SERVER['HTTPS'] being any of 1|on|yes|true (caSe insensitive). Props @jaswsinc. See Issue #61. Multisite Bug Fix: Fixed an issue where the Auto-Cache Engine would fail to auto-cache child blogs in a multisite network whenever the network was being served from a sub-directory. Props @jaswsinc. See Issue #537. Bug Fix: Fixed a fatal error that was occurring on some sites after upgrading to v150629. We discovered the fatal error was related to PHP’s outdated and buggy APC extension, which is often active on sites running PHP 5.3 and PHP 5.4. We now prevent activation of ZenCache on systems with the APC extension enabled and show a warning message instead. We’ve written a KB Article that further explains the APC Extension Warning and offers advice to site owners who are currently running APC. See also Issue #511. Enhancement: Added a stats pinger, similar to the WordPress stats collector, that reports the server OS, PHP version, MySQL version, WordPress version, and the ZenCache version, securely and anonymously to WebSharks. See this KB Article for more information. Restructured Codebase: The entire ZenCache codebase has been restructured to improve performance, enhance flexibility, and make it easier to build in new features! New Feature! The free version of ZenCache now supports several new options that were previously only available in the Pro version. You can now toggle the Auto-Clear Cache routines for the Home Page, Posts Page, Author Page, Category Archives, Tag Archives, Custom Term Archives, RSS/RDF/Atom Feeds, and XML Sitemaps. This gives you more control over exactly when ZenCache purges the cache for these parts of your site. 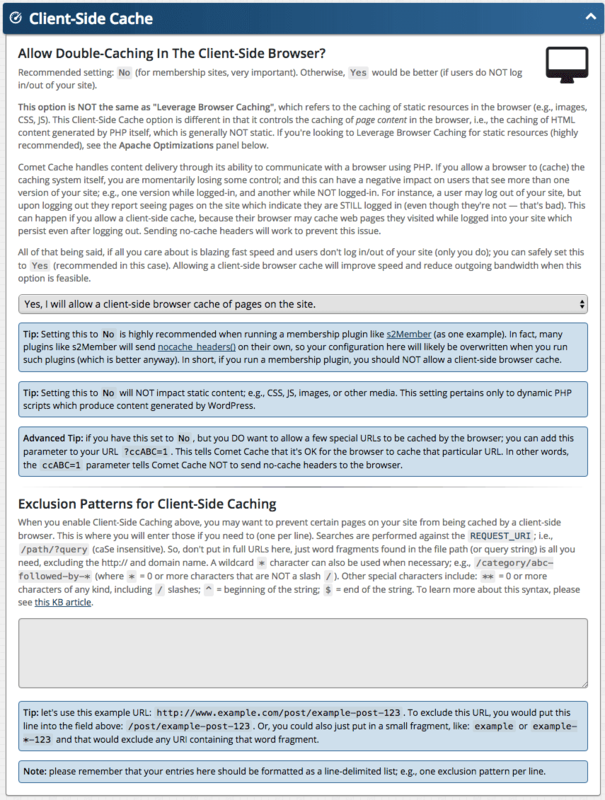 See ZenCache → Plugin Options → Clearing the Cache for further details. New Feature! 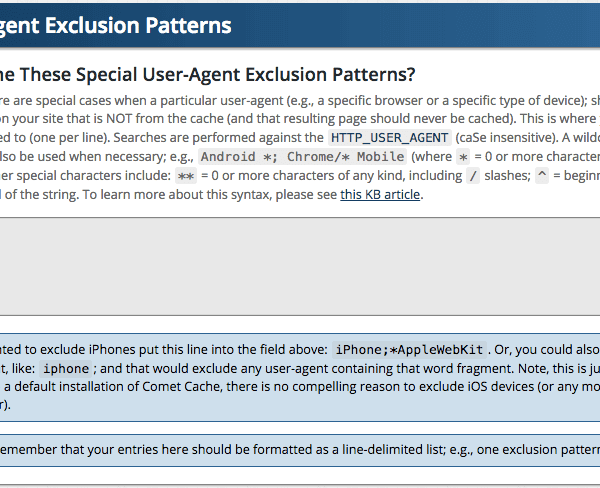 URI Exclusion Patterns are now available in ZenCache Lite! This previously Pro-only feature is now available in the free version of ZenCache and allows you to exclude a list of URIs from being cached by ZenCache. 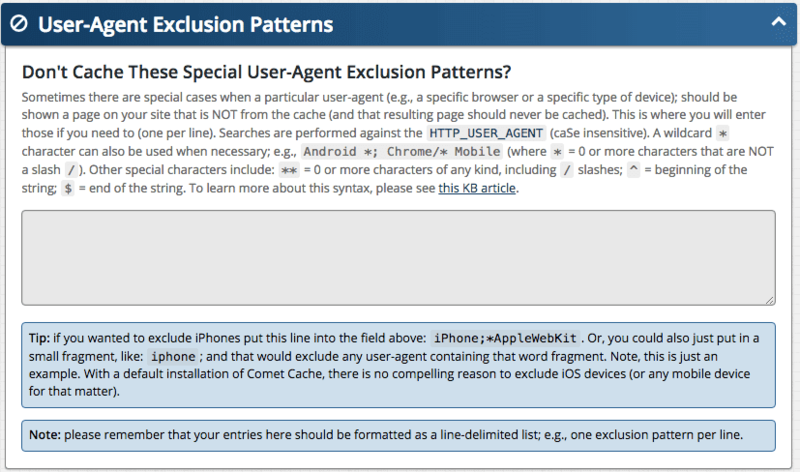 See ZenCache → Plugin Options → URI Exclusion Patterns for further details. New Feature! 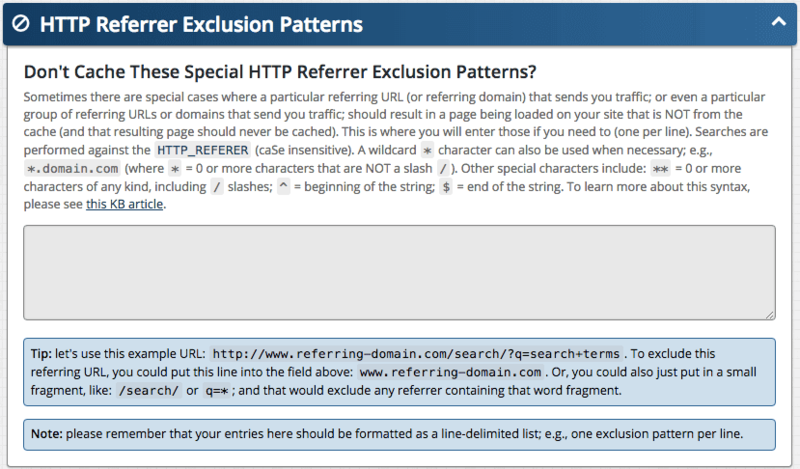 HTTP Referrer Exclusion Patterns are now available in ZenCache Lite! This previously Pro-only feature is now available in the free version of ZenCache and allows you to define a list of referring URLs or domains that send you traffic. When ZenCache sees a request coming from one of those URLs or domains, it will not cache that particular request. 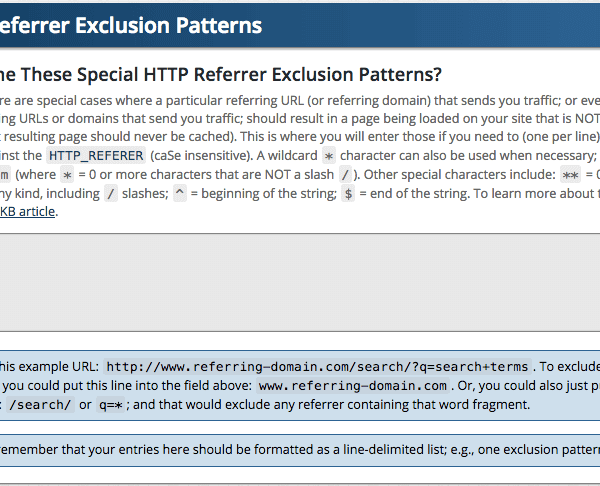 See ZenCache → Plugin Options → HTTP Referrer Exclusion Patterns for further details. New Pro Feature! 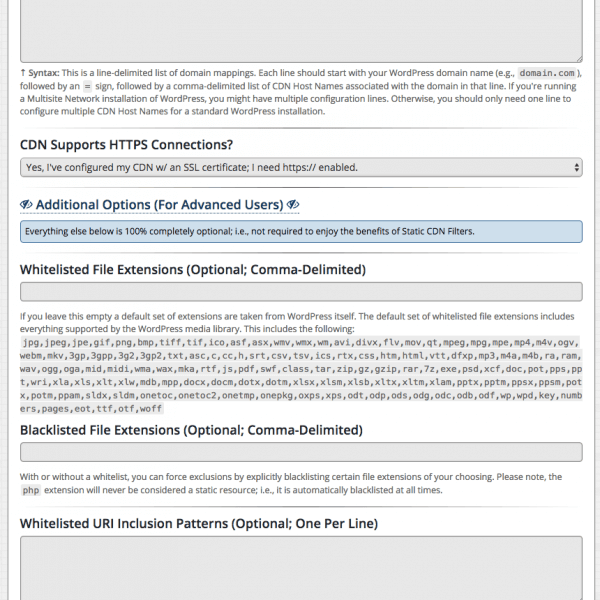 : Static CDN Filters now supports multiple CDN hostnames. This allows you to configure more than one CDN hostname, also referred to as Domain Sharding. This makes it possible for site owners to work around web browser concurrency limits, allowing the browser to download many resources simultaneously, which increases overall speed. Props to @isaumya and @jaswsinc. See Issue #468. Enhancement (Pro): Static CDN Filters now includes proper support for WordPress Multisite Networks, including support for subdomains (full support for Domain Mapping coming in the next release). If you’re running a WordPress Multisite Network and want to configure a CDN, see this KB Article for further details. Enhancement (Pro): Static CDN Filters now also apply to any static files that are referenced inside CSS files. Props @jaswsinc. See Issue #461. Enhancement: Completed a major restructure of the entire codebase to improve modularity and dependency management. Props @jaswsinc. Enhancement (Pro): Static CDN Filters now supports the ability to configure separate CDN hostname(s) for each domain (or subdomain) that you run in a WordPress Multisite Network. Props @jaswsinc. See Issue #475. Enhancement (Pro): Static CDN Filters now support subdomains when ZenCache is running inside a WordPress Multisite Network. Props @jaswsinc. See Issue #439. Bug Fix (Pro): Static CDN Filters were not being applied to the primary site on WP Multisite installations that used subdomains. Props to @isaumya for discovering this bug. See Issue #470. Enhancement (Pro): Files being served by the HTML Compressor were being sent without a Vary: Accept-Encoding header, which caused some page speed testing services to give a lower rating to sites using ZenCache. ZenCache now ensures this header is sent via an .htaccess file inside the HTML Compressor cache directory (requires Apache 2.1+). Props @jaswsinc. Issue #436. Bug Fix: Fixed a bug related to the Quick Cache migration that resulted in caching being disabled despite ZenCache being enabled. Uninstalling Quick Cache was removing define('WP_CACHE', TRUE); from the wp-config.php file. ZenCache now makes sure that caching remains enabled after uninstalling Quick Cache during the ZenCache migration process. Issue #450. Bug Fix: Fixed a minor UI issue where the ZenCache Dashboard icon would occasionally flash to a black color when refreshing the Dashboard. Props @jaswsinc. Issue #453. Bug Fix: When ZenCache was running on an installation of PHP with open_basedir restrictions applied, calls to is_dir() were triggering a PHP Warning while looking for a writable temporary directory. This bug has been fixed. Issue #456. Bug Fix: Fixed a bug where changing the permalink for a published post would result in the cache file for the old permalink being left behind and as a result both the old and the new permalink would be accessible, instead of WordPress redirecting the old permalink to the new one. This has been fixed and ZenCache now properly clears the old cache file when changing the permalink on a published post. Issue #359. Bug Fix: Fixed a bug where transitioning a Published post back to Pending or Draft would not automatically clear the cache file. This resulted in the post remaining accessible on the frontend despite being set as Pending or Draft. ZenCache now properly clears the cache file automatically when transitioning from Published to Pending or Draft, which prevents access to the post as expected. Issue #441. Bug Fix (Pro): Some users reported seeing Warning: trim() expects parameter 1 to be string. This was produced by a low-impact bug that has been fixed in this release. Issue #455. Bug Fix (Pro): Some users running the HTML Compressor reported seeing 403 Forbidden errors related to loading the compressed/minified files. This was a permissions-related issue that has been resolved in this release. Props @superian and @jaswsinc. See Issue #50. Bug Fix (Pro): Some HTTP requests made by the HTML Compressor to servers configured to reject HTTP requests that don’t include a User-Agent were failing. A User-Agent is now always used in all requests. Props @jaswsinc. See Issue #49. Minimum Required PHP Version Bumped to PHP v5.3.2+: The minimum PHP version required for ZenCache has been bumped up to PHP v5.3.2+ (from PHP v5.3+). The ZenCache cache locking mechanism, specifically the use of flock(), requires behavior introduced in PHP v5.3.2. Issue #444. Bug Fix: Fixed a bug in the Quick Cache back compat. method \zencache\share\apply_wp_filters(). It was not passing the ZenCache-filtered value through the Quick Cache back compat. routine. This bug affected sites that had disabled automatic cache clearing routines via a filter. Bug Fix (Pro): Updated Static CDN Filters whitelist to include font file extensions eot,ttf,otf,woff, as site owners may wish to serve fonts with these extensions from the CDN (this would require a custom CORS configuration; see this article for instructions). See #427. Bug Fix (Pro): Updated Static CDN Filters blacklist to exclude font file extensions eot,ttf,otf,woff by default, as they require custom CORS configuration to display properly. See #427. Bug Fix (Pro): The Static CDN Filters feature was calling a protected method that was requiring PHP v5.4+ but now the Static CDN Filters feature works with PHP v5.3+. See #426. Bug Fix: Fixed a zero-byte advanced-cache.php bug related to migrating from Quick Cache. When you deleted/uninstalled Quick Cache after upgrading to ZenCache, the Quick Cache uninstallation process would empty the advanced-cache.php file, resulting in the site no longer being cached, despite ZenCache being active. 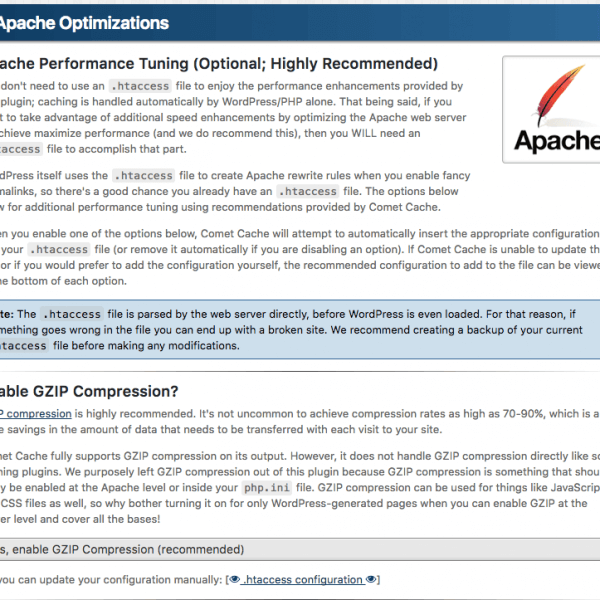 ZenCache now continuously checks to make sure that advanced-cache.php is installed properly. See #432. Announcing ZenCache, formerly Quick Cache! 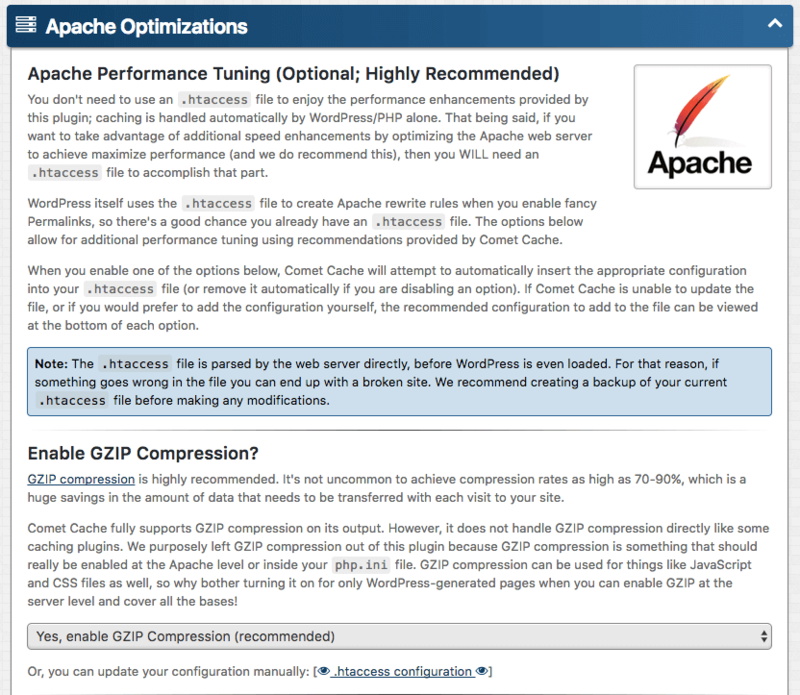 We are very excited to announce the release of ZenCache, an advanced WordPress caching plugin inspired by simplicity. ZenCache is the successor to Quick Cache, a very popular WordPress caching plugin that has been downloaded over 1 million times and won acclaim for its speed, simplicity, and ease of configuration. Read the full announcement here. ZenCache is an evolution of Quick Cache. It comes with a completely refactored codebase, subtle UI enhancements, internal optimizations; along with full backward compatibility with all previous versions of Quick Cache Lite and Quick Cache Pro. 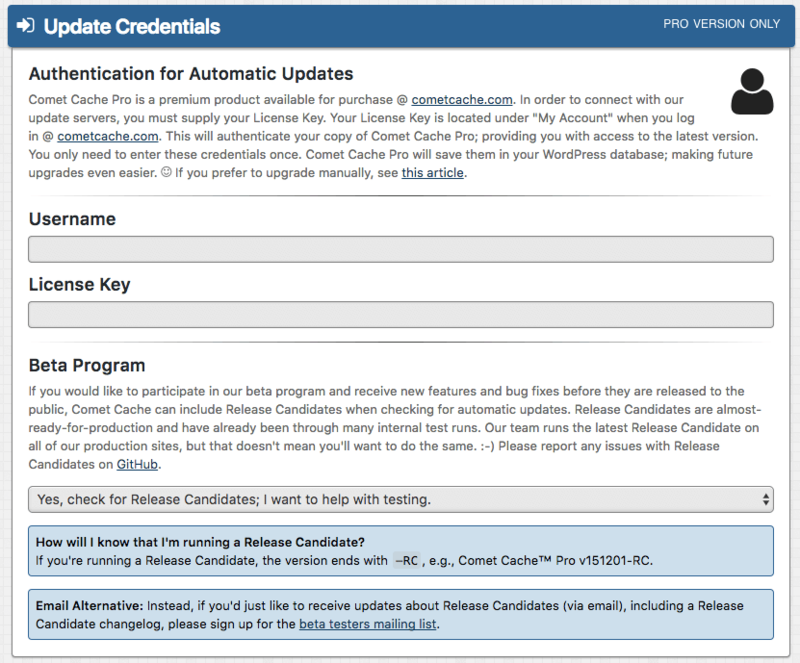 In fact, installing ZenCache on a site that was previously running Quick Cache is a piece of cake! Watch this video to learn more. All configuration options are preserved. New Pro Feature: CDN Integration: With the announcement and release of ZenCache we are excited to also announce a new, highly-requested feature: Static CDN Filters. This feature allows you to serve some and/or ALL static files on your site from a CDN of your choosing. See also: Introduction to Static CDN Filters. Full Backwards Compatibility with Quick Cache and Quick Cache Pro: ZenCache is fully backwards compatible with all previous versions of Quick Cache Lite and Quick Cache Pro. Simply install ZenCache and your existing Quick Cache options will preserved by ZenCache. Bug Fix: Several fixes for a stubborn bug related to “Fatal Error: ‘Unable to clear dir’” error messages and errors referencing “SplFileInfo::getMTime(): stat failed”. Props @jaswsinc. See #397. Bug Fix: Addressed another issue related to “Fatal Error: ‘Unable to clear dir’” and tmp directories that don’t get cleared by Quick Cache. This fix discards iteration references before renaming the tmp directories. Props @jaswsinc. See #288. Enhancement: Added a new filter (quick_cache\\share_disable_cache_locking) to allow disabling cache locking. Simply return boolean TRUE to this filter to disable cache locking. This may be useful for site owners who are experiencing issues with cache locking on web hosting platforms with filesystems that don’t properly support locking. Note that this filter must be applied using an Advanced Cache Plugin (see Dashboard → Quick Cache → Plugin Options → Theme/Plugin Developers). See also #387. Enhancement: Added a new filter that allows forcing Semaphore cache locking on hosting platforms where sem_get() is available and would result in improved performance. Return sem to the quick_cache\\share::cache_lock_lock_type filter to force Semaphore cache locking, or flock to use the default method that uses flock(). Note that this filter must be applied using an Advanced Cache Plugin (see Dashboard → Quick Cache → Plugin Options → Theme/Plugin Developers). See also #387. Bug Fix: Addressed another issue with “Fatal Error: ‘Unable to clear dir’” messages by adding new blocking methods for cache lock and unlock, making it so that cache writes (including clearing, purging, wiping) all gain an exclusive lock on the cache directory while work is underway. Props @jaswsinc. See #288. Bug Fix: Fixed a bug that was occasionally generating “Fatal Error: ‘Unable to clear dir’” messages. The root cause of this is believed to be non-atomic purging of cache directories which, on a busy site, could result in new cache files being created before a purging routine was finished clearing the directory. Clearing/purging/wiping is now atomic in all scenarios. Props @jaswsinc. See #288 and #351. Bug Fix: Fixed missing trailing slash in Directory / Expiration Time configuration panel. This was purely a visual inconsistency and had no effect on Quick Cache’s functionality. See #267. Bug Fix: When saving custom CSS using JetPack’s Custom CSS module, Quick Cache now properly purges the site cache to ensure that outdated cache files are not served to visitors. See #246. Bug Fix (Pro): Fixed a bug where the HTML Compressor, when enabled with the “remove extra whitespace in the final HTML” option, would incorrectly remove <!DOCTYPE html>. See #299. Enhancement: Improve handling of symlink creation for 404 cache files by using atomic symlink creation to decrease the possibility of encountering a race condition. See [#242](https://github.com/websharks/Quick Cache/issues/242). Enhancement: Improved portability of advanced-cache.php. This will help reduce configuration overhead for site owners when migrating a WordPress installation from one server to another. See [#258](https://github.com/websharks/Quick Cache/issues/258). Enhancement: The Plugin Deactivation Safeguards option has been renamed to Plugin Deletion Safeguards. When Plugin Deletion Safeguards are disabled, deactivating and deleting the plugin will now erase your options for the plugin, erase directories/files created by the plugin, remove the advanced-cache.php file, terminate CRON jobs, etc. It completely erases itself, but only when you disable Plugin Deletion Safeguards (enabled by default to prevent accidental loss of data). See [#261](https://github.com/websharks/Quick Cache/issues/261). Enhancement (Pro): Improved error handling for the Auto-Cache Engine. There were some scenarios where XMLReader() would fail with a PHP Warning notice when it was unable to properly parse the sitemap. See [#250](https://github.com/websharks/Quick Cache/issues/250). Bug Fix: The cache directory is now properly removed when deleting the plugin from the WordPress Dashboard plugins list. See [#261](https://github.com/websharks/Quick Cache/issues/261). Bug Fix (Pro): The plugin upgrade notice no longer appears on Child Blogs in a Multisite Network. There was no security risk here; while the upgrade notice was shown, Child Blog admins who did not have permission to upgrade Network-activated plugins were unable to do anything with the message. See [#259](https://github.com/websharks/Quick Cache/issues/259). Bug Fix (Pro): HTML Compressor now preserves whitespace inside CSS calc() statements. See [#286](https://github.com/websharks/Quick Cache/issues/286). Enhancement: The “GET Requests” UI Panel now explains that you can use ?zcAC=0 to disable caching when you ARE caching GET Requests. See also: [#210](https://github.com/websharks/Quick Cache/issues/210). Enhancement (Pro): The Quick Cache Pro Updater now accepts a License Key in place of the WebSharks password. 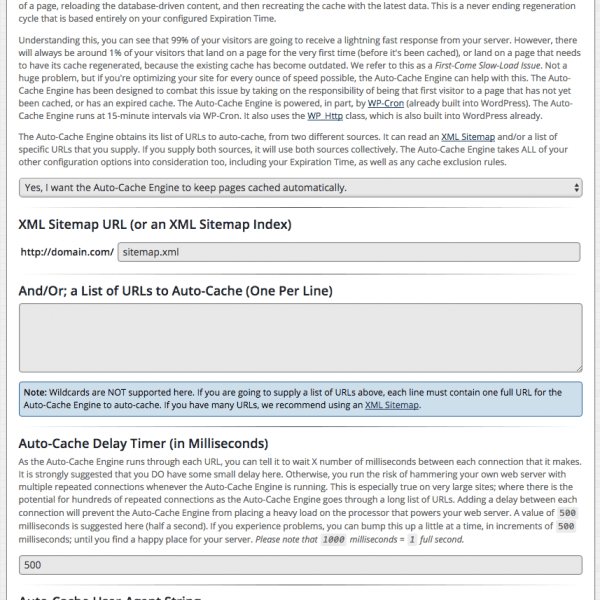 Bug Fix (Pro): The Auto-Cache Engine now correctly handles the sitemap when home_url() differs from site_url(). New Feature: 404 Page caching. 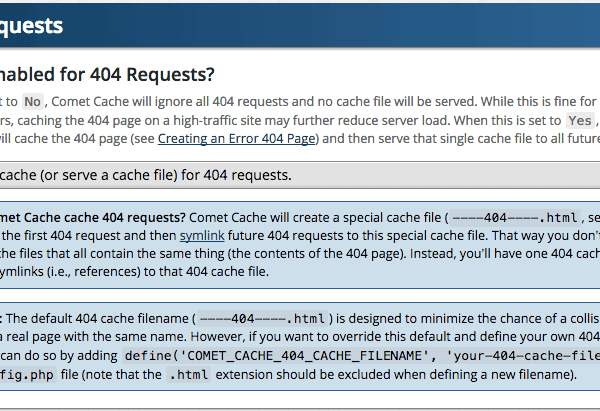 It’s now possible to enable/disable the caching of 404 requests. Enabling this feature generates a single cache file for your 404 Page and then symlinks future 404 requests to that cache file. See Dashboard -> Quick Cache -> Plugin Options -> 404 Requests. Improved Quick Cache version check notice. Improved Quick Cache options validation. Multisite Bug Fix. Added support for PATH_CURRENT_SITE and $GLOBALS['base']. Multisite Bug Fix. Removed depreciated VHOST code that was causing issues with clearing the cache. New Pro Feature. It’s now possible for developers to add custom PHP code to the cache clearing routines (e.g. custom code which might consider things like APC or memcache also). This requires [Quick Cache Pro](http://www.websharks-inc.com/product/Quick Cache/). Please check your Dashboard under: Quick Cache Pro -› Clearing the Cache. See also: this screenshot. Multisite Bug Fix. The “Clear Cache” button was not displayed for child blogs in a network. Fixed in this release. Added hook to wp_set_comment_status to purge the comment cache when a comment status changes. Added Raam Dev to the contributors list. Raam will now be leading the development of Quick Cache and Quick Cache Pro. Emergency Scenario Adding notes in several sections of the reamde.txt file regarding “what to do in an emergency scenario”. Updated to support all features and functionality of WordPress v3.7+ (this new release of Quick Cache requires WordPress v3.7+). The Quick Cache plugin is now being actively maintained and future updates and improvements will be released periodically by lead developer Jason Caldwell. The popularity of this plugin and recent acknowldegments at WordCamp in Boston have inspired Jason to revamp Quick Cache! The latest version of Quick Cache is a complete rewrite (OOP design). Faster! and even more dependable. NOTE: the free version of Quick Cache (this new LITE version); while it remains fully functional and is more-than-adequate for most sites; is now limited in some ways. The following advanced features from the previous release are no longer available in the lite version: a custom MD5 Version Salt; custom Exclusion Patterns; the Clear Cache button in the admin bar. These, and MANY other brand new features are now available only in the pro version of the plugin. For further details, please see: <http://www.websharks-inc.com/product/Quick Cache/>. Bug fix. Quick Cache now considers the HTTPS evironment variable in order to prevent cache collisions on sites that serve pages over SSL. Nothing to configure, this is now built into the Quick Cache engine. UI updates. An improved user interface makes configuring this plugin a dream! Quick Cache got an awesome makeover in this release. Improved support for multisite networks. It’s never been easier to run Quick Cache on a multisite network. For further details, please see: Dashboard -› Network Admin -› Quick Cache when/if you have Multisite Networking enabled in WordPress. Update; PUT and DELETE requests are now considered by Quick Cache. By default, Quick Cache does NOT serve cached pages to users who are logged in, or to users who have left comments recently. 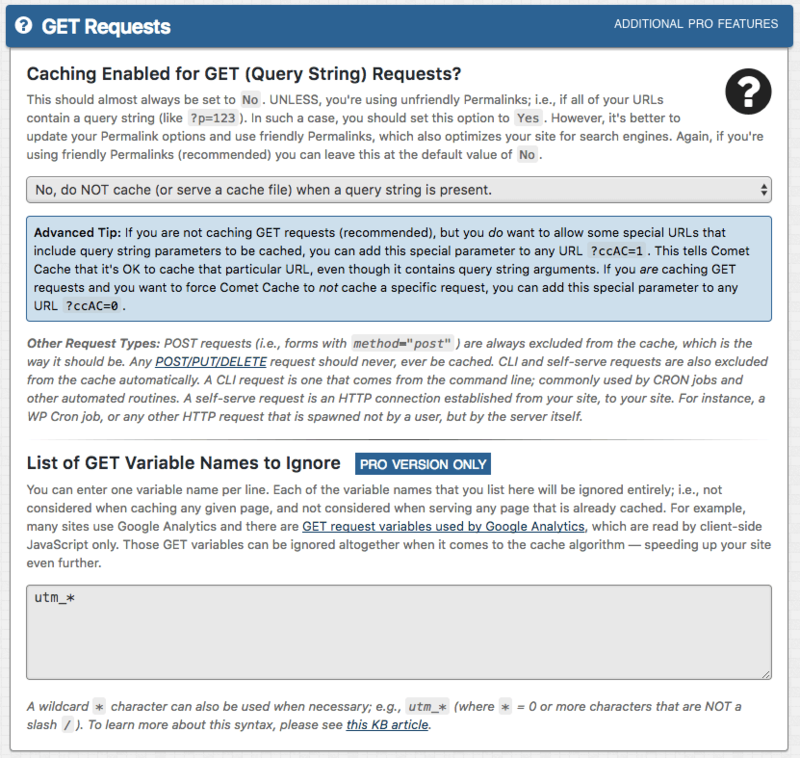 Quick Cache also excludes administrative pages, login pages, POST/PUT/DELETE/GET(w/ query string) requests and/or CLI processes. Dropping support for ob_gzhandler(); and the like. Quick Cache will now throw PHP exceptions to warn you about this should it be an issue in your hosting environment. If you want to enable GZIP, please follow the instructions provided by Quick Cache and avoid the use of ob_gzhandler() as this is not a recommended way to enable GZIP on any hosting platform. Truly atomic cache file write updates. Removing support for SEM vs. FLOCK for file locking. Quick Cache no longer needs a mutex file. Cache file updates are written to a temp file and renamed for the best reliability and improved speed too! Localization. Quick Cache is now translatable. This release adds support for gettext translations, a very popular method for translating WordPress plugins. All parts of the Quick Cache plugin can be localized now. The source code was updated with calls to the __ function and a new text domain was added: Quick Cache. PO translation files should be placed in your plugins directory, example: /wp-content/plugins/Quick Cache-en_US.mo; or in WP_LANG_DIR/plugins/Quick Cache-en_US.mo. Capability requirement. This release of Quick Cache requires that an Administrator be logged-in with the Capability of activate_plugins. This is a default Capability that comes with the Administrator Role in WordPress. So, unless you’ve modified your WordPress Roles/Capabilities in some extremely creative way, this should not impact you; just something to be aware of. (Pro Version) There is now a pro version of this plugin available. Please see: <http://www.websharks-inc.com/product/Quick Cache/>. The initial set of pro features include: the ability to cache logged-in users too! (VERY powerful, particularly for membership sites); a new improved “Clear Cache” button in the admin bar (along with an option to enable/disable this feature); the ability to disable Dashboard notifications related to automatic clearing/purging on change detections; Import/Export functionality for Quick Cache configuration files; URI exclusion patterns (now supporting wildcards too); User-Agent exclusion patterns (now supporting wildcards too); HTTP referrer exclusion patterns (now supporting wildcards too); an MD5 Version Salt; and rockstar support for all Quick Cache features. 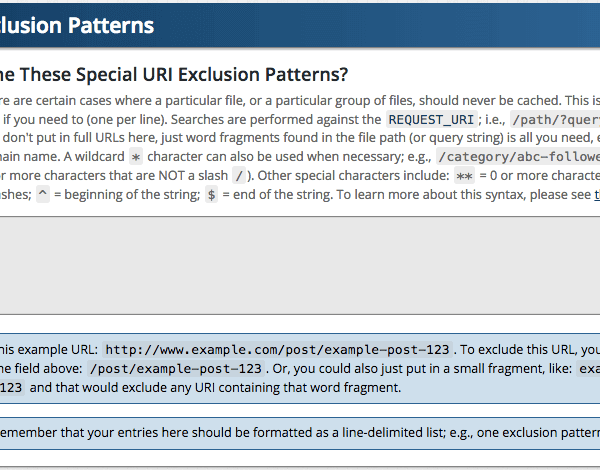 (Pro Version) Regarding URI/User-Agent/HTTP Referrer exclusion patterns. If you configured any of these options in the previous release and would like to continue to use them in this release, please upgrade to the pro version or contact lead developer Jason Caldwell for assistance. Note: if you had these options configured in the previous release, once you upgrade to the pro version they will come back just like they were. Either that, or you may choose to continue using the previous version of Quick Cache where this functionality still exists. Lite version source code now available on GitHub also: <https://github.com/websharks/Quick Cache>. Updated to support WordPress® v3.3. Backward compatibily remains for WordPress® v3.2.x. Bug fix. Corrected XSS security issue associated with the handling of $_SERVER["REQUEST_URI"] inside the comment lines that Quick Cache introduces at the bottom of the source code. Bug fix. Corrected cosmetic issue in WordPress v3.2 related to the positioning of the Clear Cache button. Routine maintenance. No signifigant changes. Versioning. Starting with this release, versions will follow this format: yymmdd. The version for this release is: 110523. Bug fix. Under the right scenario, errors regarding the function is_user_logged_in() in the second phase of advanced-cache.php have been resolved in this release of Quick Cache. Compatibility. Quick Cache is now capable of dealing with themes/plugins that attempt to use ob_start("ob_gzhandler") inside a header.php file, or in other places that may create a problem in the nesting order of output buffers. For instance, this release of Quick Cache resolves some incompatiblities with Headway themes for WordPress®. Please note that GZIP should be enabled at the Apache level ( i.e. with an .htaccess file ), or in PHP using zlib.output_compression = on. Both of these methods are preferred over ob_start("ob_gzhandler"). If you must use ob_start("ob_gzhandler"), please make this declaration inside your /wp-config.php file, and NOT inside /header.php, as this creates a problem that Quick Cache must work around, and could ultimately prevent GZIP from working at all if you do it this way. For further details on how to enable GZIP with Quick Cache, please see the included /readme.txt file. Compatiblity. References to dirname() that were processed by the Quick Cache /advanced-cache.php handler should have been using WP_CONTENT_DIR for improved compatibility with WordPress® installations that may use non-standardized installation directories and/or symlinks. New Filter available for developers. Multisite Super Admins can now give their Child Blog owners the ability to manually clear the cache for their own site in the Network. Quick Cache accomplishes this by making the “Clear Cache” button visible in the administrative header for Child Blog owners. If you wish to enable this, you can use this Filter: add_filter("ws_plugin__qcache_ms_user_can_see_admin_header_controls", "__return_true");. This button is always visible to Super Admins. Adding this Filter makes it visible to all child Blog Owners as well. Optimizations. Further internal optimizations applied through configuration checksums that allow Quick Cache to load with even less overhead now. Bug fix. Quick Cache was suffering from a bug regression related to stale Last-Modified headers being sent with cached copies. This has been resolved in Quick Cache v2.3.1+. Updated with static class methods. 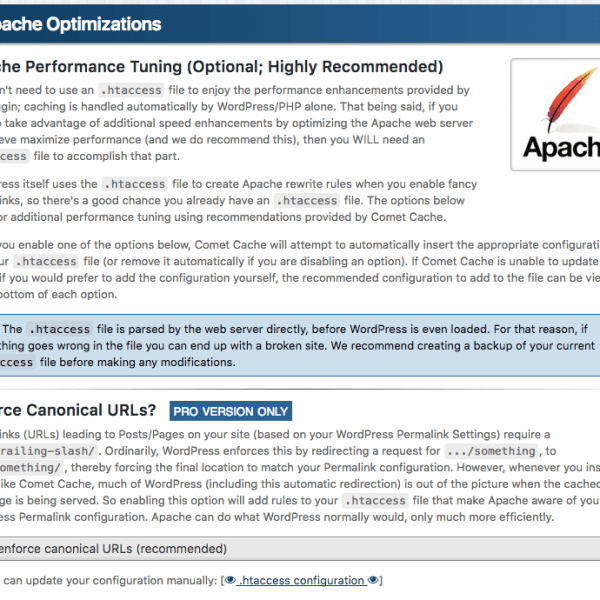 Quick Cache now uses PHP’s SPL autoload functionality to further optimize all of its routines. Updated for compatibility with WordPress® 3.1. Updated to disable caching on database failures that do not trigger a 5xx error code. 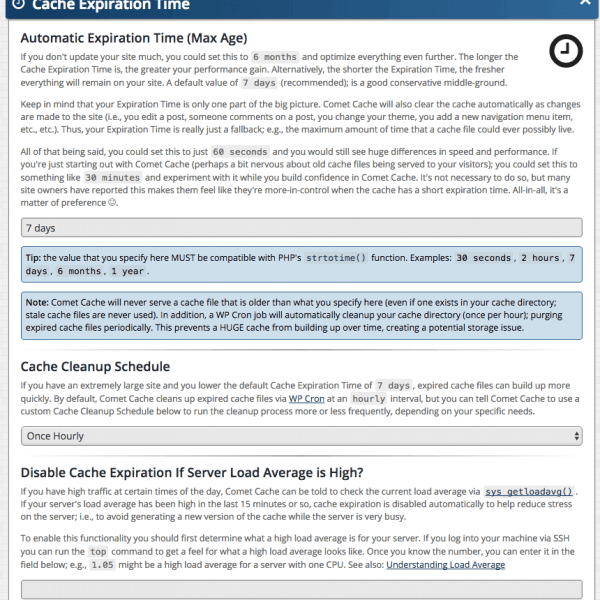 Quick Cache is now capable of disabling the cache engine dynamically on all database connection failures within WordPress®. Updated to support all 5xx error codes. Quick Cache now monitors the status_header function for 5xx error codes. If a 5xx status header is detected, caching is automatically disabled, as it should be. Minor updates to the Ajax clearing routines that were implemented in v2.2.1. This update also adds compatibility with (offline) localhost installations of WordPress® (WAMP/MAMP). Support for glob() has been added to Quick Cache. In previous versions, it was impossible to pinpoint a specific cache file through Dynamic Pruning routines ( at least, not with 100% accuracy ). This was because an MD5 Version Salt could have been generated; based on arbitrary conditionals, set by the site owner. Quick Cache now stores its cache files with three MD5 hash strings, producing longer file names; but with the added benefit of improved Multisite compatibility, and improvements in optimization overall. Quick Cache can now handle dynamic pruning with 100% accuracy. Even supporting complex Multisite installations, with or without SUBDOMAIN_INSTALL. New feature. 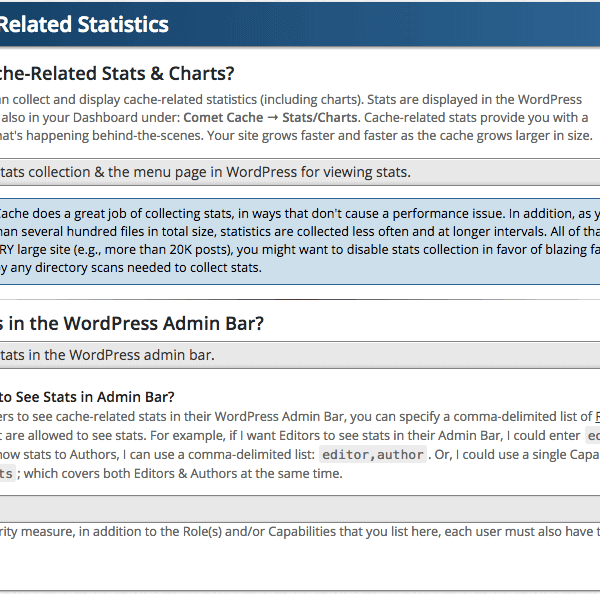 Quick Cache now integrates a Clear Quick Cache button into the WordPress® Dashboard. This makes it easy to force a “cache reset, via ajax”, without having to navigate through the Quick Cache menu for this simple task. Another great benefit to this new button, is that it works in all Dashboard views, even in a Multisite installation across different backends. If you’re running a Multisite installation, you can use this new button to clear the cache for a particular site/blog in your network, without interrupting others. Bug fix. The Constant Quick Cache_ALLOWED was being defined too early in the buffering routine. This has been resolved in v2.2.1. Optimization of advanced-cache.php. A few things have been streamlined even further. Added compatibility for the WP Maintenance Mode plugin, and also the Maintenance Mode plugin. Quick Cache will disable itself when these plugins are enabled for maintenance. Added compatibility for other Maintenance Mode plugins that are capable of sending a Status: 503 header, or a Retry-After: header. Added compatibility for plugins that create PHP sessions. Quick Cache will automatically disable itself when a PHP session is active. Added compatiblity for web hosts that insert a port number into the $_SERVER["HTTP_HOST"] variable. Quick Cache is now capable of handling this gracefully. Improvement. Removed references to $blog_id = 1 in favor of is_main_site(); providing support for Multisite Mode, where there are multiple sites, instead of just multiple blogs. 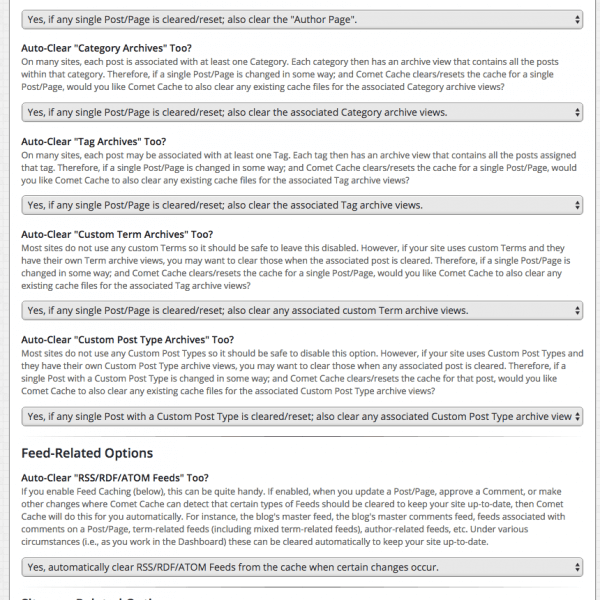 Updated Dynamic Pruning Hooks for Custom Post Types, and Custom Taxonomies in WordPress® 3.0+. 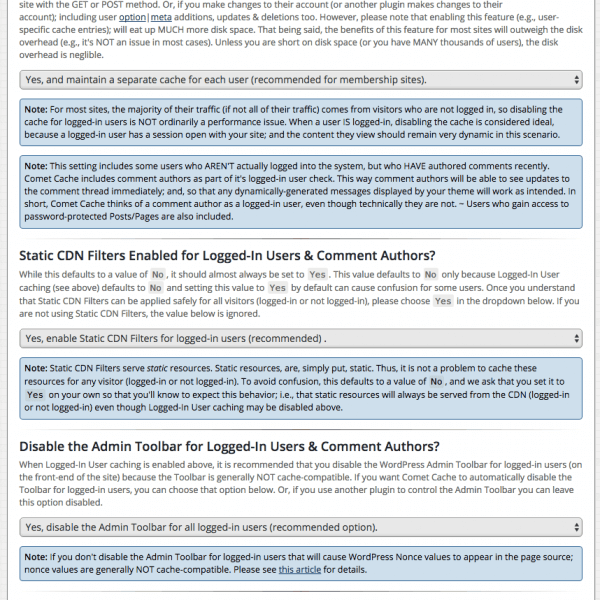 Extended compatiblity for Quick Cache on SSL enabled blogs. Updated minimum requirements to WordPress® 3.0. Bug fix. A bug related to gzinflate variations handled by the WP_Http class has been resolved. This was preventing Quick Cache from validating a custom MD5 Version Salt on some servers. Auto-Cache Engine. References to ws_plugin__qcache_curl_get(), have been replaced by c_ws_plugin__qcache_utils_urls::remote(), which makes use of wp_remote_request() through the WP_Http class. This removes an absolute dependency on the cURL extension for PHP. This also gives Quick Cache/WordPress® the ability to decide with method of communication to use for HTTP requests; based on what the installation server has available. Note: this only affects the Auto-Cache Engine for Quick Cache, which is completely optional. Compatibility. Quick Cache is now smarter about the way it reports errors. For example, when/if there are directory permission issues with your wp-content directory; Quick Cache can help with this, in a more intuitive fashion. Compatibility. Support has been added for WordPress® 3.0 with Multisite/Networking enabled. Updated minimum requirements to WordPress® 2.9.2. A new option for Dynamic Cache Pruning was added. You can now choose Single + Front Page. This makes it possible to Create or Edit a Post/Page, and have the cache automatically updated for that specific Post/Page. And.. in addition, your Front Page ( aka: Home Page ) will also be refreshed at the same time. A minor bug was fixed in the Dynamic Cache Pruning routines. This bug was originally introduced in Quick Cache v2.1.1, and has now been corrected in v2.1.5. This bug, under certain circumstances, was preventing Quick Cache from locating an expired md5 cache file, for some Posts/Pages being updated. Advanced feature addition. 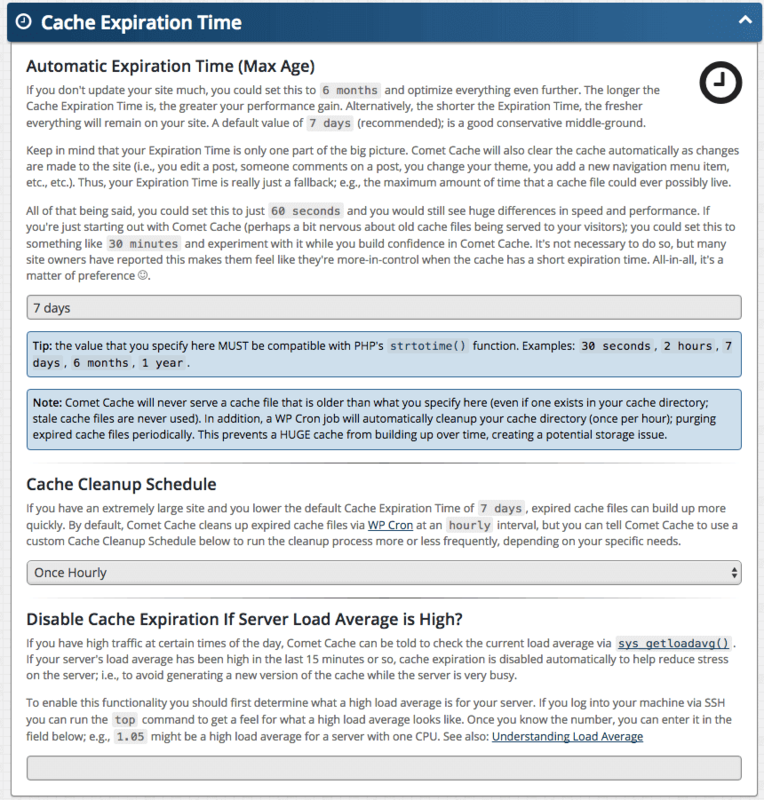 Quick Cache now comes bundled with a robust Auto-Cache Engine. This is an optional feature, for VERY advanced users. You’ll find the new Auto-Cache Engine listed right along with all of the other Quick Cache options. This works in conjunction with an XML Sitemap. Advanced feature addition. You can now prevent caching dynamically whenever pages on your site receive traffic from specific URLs, specific domains, or even specific word fragments found within the HTTP_REFERER. This feature is very advanced, and will NOT impact your site unless you decide to use it for one reason or another. Added De-Activation Safeguards to the Quick Cache options panel. Updated the Quick Cache options panel. It’s been given a make-over. Stable tag updated in support of tagged releases within the repository at WordPress.org. WebSharks Framework for Plugins has been updated to P-2.1. Updated caching routines in support of hosting providers running with CGI/FastCGI. Quick Cache has been tested with VPS.net, HostGator, BlueHost, (mt) Media Temple (gs) and (dv), The Rackspace Cloud, and several dedicated servers ( including some Amazon EC2 instances ) running with Apache; including support for both mod_php and also CGI/FastCGI implementations. Quick Cache should work fine with any Apache/PHP combination. Please report all bugs through the Support Forum. An issue was discovered with WordPress® MU /files/ being accessed through htaccess/mod_rewrite. Quick Cache has been updated to exclude all /files/ served under WordPress® MU, which is the way it should be. Requests that contain /files/ are a reference to WordPress® Media, and there is no reason, to cache, or send no-cache headers, for Media. 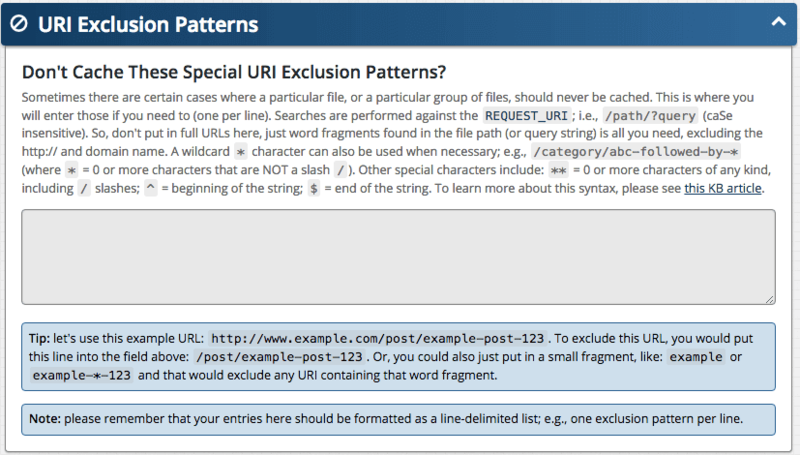 Quick Cache now ignores all references to /files/ under WordPress® MU. This problem was not affecting all installations of WPMU, because there already are/were scans in place for Content-Type headers. However, under some CGI/FastCGI implementations, this was not getting picked on WMPU with mod_rewrite rules. This has been resolved in v2.1.2. A WPMU bug was corrected in Quick Cache v2.1.1. This bug was related to HTTP_HOST detection under WordPress® MU installations that were using sub-domains. Please thank QuickSander for reporting this important issue. Quick Cache has added further support for themes and plugins that dynamically set Content-Type headers through PHP routines. Quick Cache is now smart enough to automatically disable itself whenever a theme or plugin sends a Content-Type header that would be incompatible with Quick Cache. In other words, any Content-Type header that is not a variation of HTML, XHTML or XML. Quick Cache has also been upgraded to support the preservation of scripted headers sent by PHP routines. If a plugin or theme sends scripted headers ( using the header() function in PHP ), those headers will be preserved. They’ll be stored along with the cache. This allows them to be sent back to the browser whenever a cached version is served on subsequent visits to the original file. Compatability checked against WordPress.org 2.9.1, 2.9.2 & WordPress MU 2.9.1, 2.9.2. Everything looks good. No changes required. A few tweaks to the options panel. Documentation updated, several small improvements in error reporting. Additional error checking to support an even wider range of hosting providers. Added automation routines for safe re-activation after an upgrade is performed. Additional support added for WordPress® MU 2.8.6+. Security file Quick Cache-mu.php added specifically for MU installations. WordPress® MU is a special ( multi-user ) version of WordPress®. If you’re running WordPress® MU, check the [readme.txt] file for WordPress® MU notations. Re-organized core framework. Updated to: P-2.0. Updated to support WP 2.9+. Updated documentation. Added some additional code samples. Tested with WP 2.8.5. Everything ok.
We’ve added the ability to enable Double-Caching ( client-side caching ). 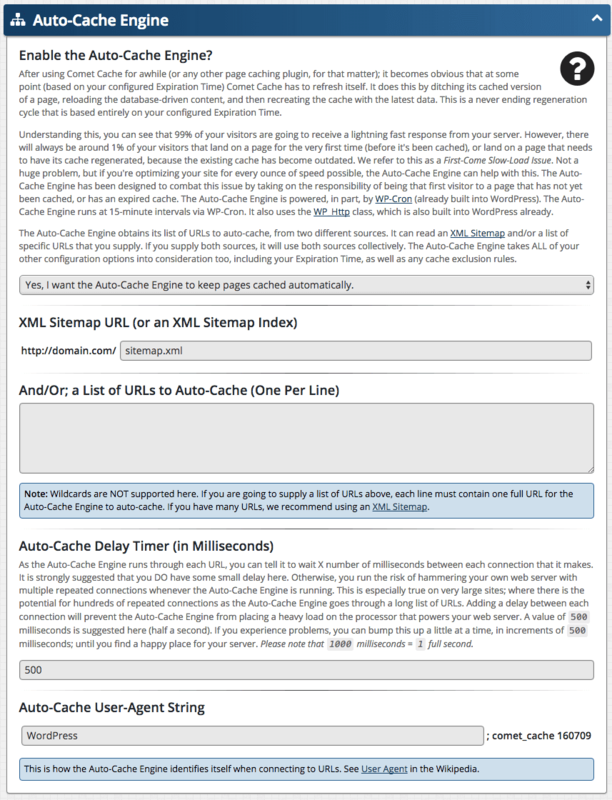 Full documentation is provided in the Quick Cache options panel. This feature is for those of you who just want blazing fast speed and are not concerned as much about reliability and control. We don’t recommend turning this on unless you realize what you’re doing. Support for Dynamic Cache Pruning has been improved. Full documentation is provided in the Quick Cache options panel. Additional feature-specific documentation has been added to assist novice webmasters during configuration. Garbage collection has been further optimized for speed and performance on extremely high traffic sites. PHP Ternary expressions are now supported in your Version Salt. This takes your Version Salt to a whole new level. Additional code samples have been provided for Version Salts; showing you how to deal with mobile devices and other tricky situations. We’ve implemented both Semaphore ( sem_get ) and flock() mutex. If you’re on a Cloud Computing Model ( such as the Rackspace® Cloud ), then you’ll want to go with flock() unless they tell you otherwise. In all other cases we recommend the use of Semaphores over Flock because it is generally more reliable. The folks over at Rackspace® have suggested the use of flock() because of the way their Cloud handles multi-threading. In either case, flock() will be fully functional in any hosting environment, so it makes a great fallback in case you experience any problems. We’ve implemented a way for plugin developers to disallow caching during certain routines or on specific pages. You can set the following PHP Constant at runtime to disable caching. define("Quick Cache_ALLOWED", false). We have also added backward compatibility for WP Super Cache, so that define("DONOTCACHEPAGE", true) will also be supported by plugins that have previously been written for compatibility with Super Cache. In other words, Quick Cache looks for either of these two Constants. Added the ability to create a Version Salt. This is a feature offered ONLY by Quick Cache. Full documentation is provided in the Quick Cache options panel. This can become very useful for sites that provide membership services or have lots and lots of plugins installed that makes their site incompatible with WP Super Cache. 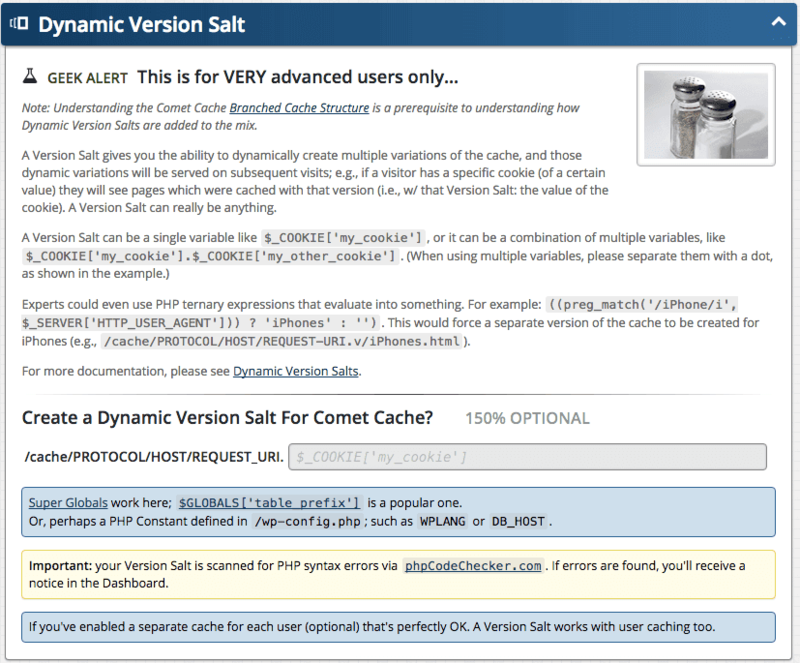 With Quick Cache, you’ll now have more control over the entire caching process using a custom Version Salt tailored to your specific needs.